At SOUND Training and Racing we believe the key to success is different for everyone, and so we strive to provide every athlete with a personalized training plan that is unique to their abilities and goals. Using sound training principles, we're able to overcome personal limitations and unlock our athletes' fullest potential! From giving you the confidence to complete your first triathlon to performing your best at a world championship event. You are capable of so much more than you imagine! 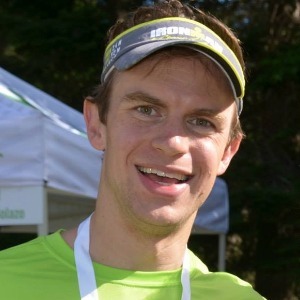 Peter is a lifetime athlete, having played soccer, baseball, and basketball as a young child, then finding a passion in cross country and track & field, and ultimately discovered his calling in the multi-sport worlds of triathlon and duathlon. After a couple years as a DIII Collegiate Assistant Track & Field Coach, Peter met his future wife (Jennifer Santoyo), and together they founded Sound Training & Racing in Seattle, WA to empower more people to be confident in achieving their goals and discovering their athletic potential. Since starting Sound Training and Racing, both Peter and Jennifer have competed in multiple World Championship events, and qualified as Professional Duathletes. If you are willing to put in the work, Peter and Jennifer have the knowledge and experience to get you to the top! Only seeking motivated athletes who are able to follow directions and communicate. Success. Coach Peter Lohrmann has been notified of your message.